At the turn of the 20th century, the mayor and the business community of Cottonwood Springs, Texas are determined to bring their small town into the modern era. The Mayor (Larry Gates) has even purchased one of those newfangled automobiles that have been taking the country by storm. However, the marshal of Cottonwood Spings, Frank Patch (Richard Widmark), is considered to be an embarrassing relic of the past. Patch has served as marshal for 20 years but now, his old west style of justice is seen as being detrimental to the town’s development. When Patch shoots a drunk in self-defense, the town leaders use it as an excuse to demand Patch’s resignation. When Patch refuses to quit and points out that he knows all of the secrets of what everyone did before they became respectable, the business community responds by bringing in their own gunfighters to kill the old marshal. Death of a Gunfighter is historically significant because it was the very first film to ever be credited to Allen Smithee. 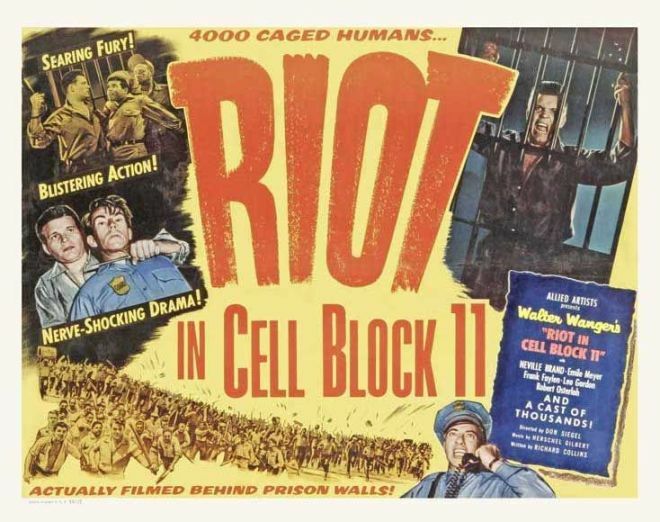 The movie was actually started by TV director Robert Totten and, after Widmark demanded that Totten be fired, completed by the legendary Don Siegel. Since Totten worked for 25 days on the film while Siegel was only on set for 9, Siegel refused to take credit for the film. When Widmark protested against Totten receiving credit, the Director’s Guild of America compromised by allowing the film to be credited to the fictitious Allen Smithee. In the years after the release of Death of a Gunfighter, the Allen (or, more often, Alan) Smithee name would be used for films on which the director felt that he had not been allowed to exercise creative control over the final product. The Smithee credit became associated with bad films like The O.J. Simpson Story and Let’s Get Harry which makes it ironic that Death of a Gunfighter is not bad at all. 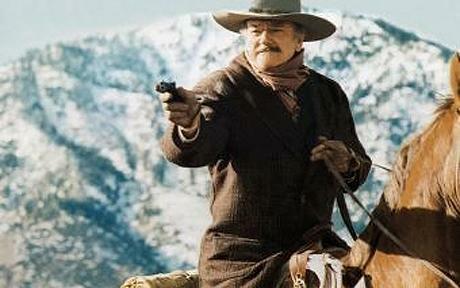 It’s an elegiac and intelligent film about the death of the old west and the coming of the modern era. It also features not only one of Richard Widmark’s best performances but an interracial love story between the marshal and a brothel madame played by Lena Horne. 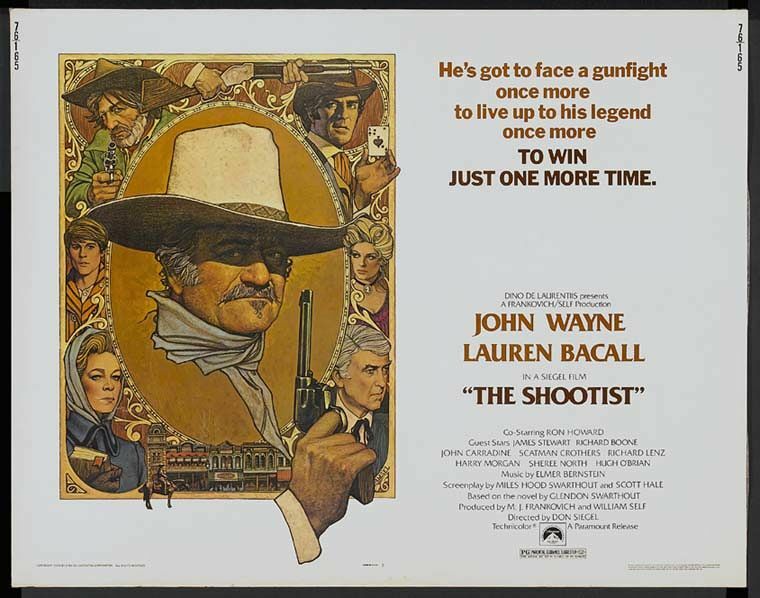 The supporting cast is full of familiar western actors, with Royal Dano, Harry Carey, Jr., Larry Gates, Dub Taylor, and Kent Smith all making an impression. Even the great John Saxon has a small role. Though it may be best known for its “director,” Death of a Gunfighter is a film that will be enjoyed by any good western fan. Across America, strange things are happening. Seemingly ordinary, middle-aged citizens are, without explanation, attacking formerly top secret government facilities. The attackers are from all different walks of life. One was an auto mechanic. Another was a priest. There was even a housewife who, after blowing up a power station, committed suicide with a poison pill that the KGB stopped issuing a decade ago. Before launching their attacks, each one of them received a phone call in which a Russian man recited a poem by Robert Frost. The Americans may not understand what is happening but the Soviets do. Immediately after the Cuban Missile Crisis, the KGB planted sleeper agents across the United States. They hypnotized and brainwashed the agents so thoroughly that they no longer remember that they are agents. The Frost poem was the trigger designed to activate the agents, all of whom were meant to attack what were then valuable parts of America’s infrastructure. With the arrival of détente, the program was abandoned and the sleeper agents were simply left behind in the United States. But now, a former hardliner (Donald Pleasence), is activating the agents one by one. Because he has a photographic memory, KGB colonel Charles Bronson is sent to the United States to track down and kill Pleasence before the United States discovers the truth about what is happening. Lee Remick, as an American KGB agent, is assigned to work with him but is also ordered to kill him once the assignment has been completed. That Telfon is one of Charles Bronson’s better post-Death Wish films is largely due to the presence of Don Siegel in the director’s chair. 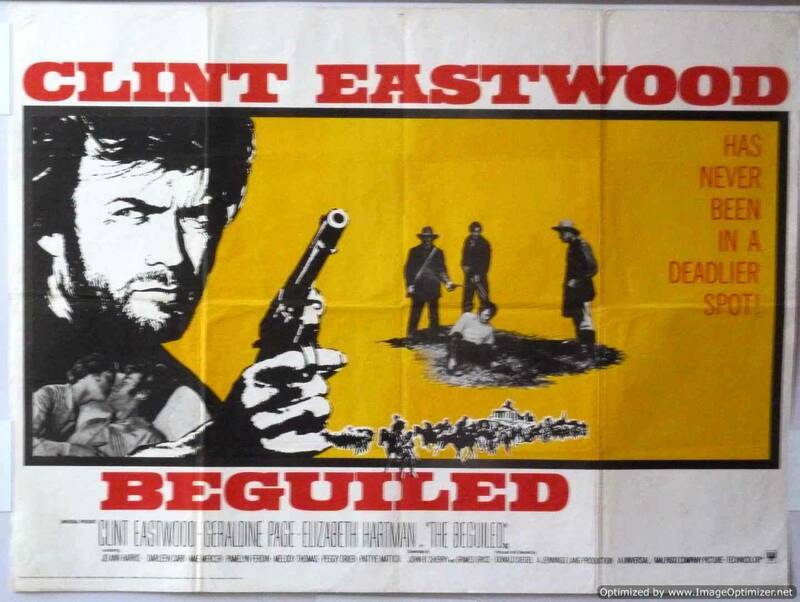 As a director who specialized in intelligent genre films and who helped to make Clint Eastwood one of the world’s biggest stars with Dirty Harry, Coogan’s Bluff, The Beguiled, and Escape from Alcatraz, Don Siegel was the ideal director to bring out the best in Bronson. Like St. Ives, Telefon features Bronson in an uncharacteristically cerebral role. For once, he spends more time analyzing clues than he does shooting people and Bronson is surprisingly credible as a man with a photographic memory. As directed by Siegel, Telefon is almost a satire of the type of violent action films that Bronson usually made for directors like Michael Winner. In Telefon, both the bad guys and the good guys are equally clueless. All of the KGB sleeper agents are dumpy and middle-aged and the film continually emphasizes that they’ve all been brainwashed to attack targets that are no longer strategically important. Donald Pleasence, playing one of his raving villains, wears a blonde, Beatles-style wig for much of the film. Though the ending is a let down, Telefon is still one of the best of Bronson’s late 70s films. 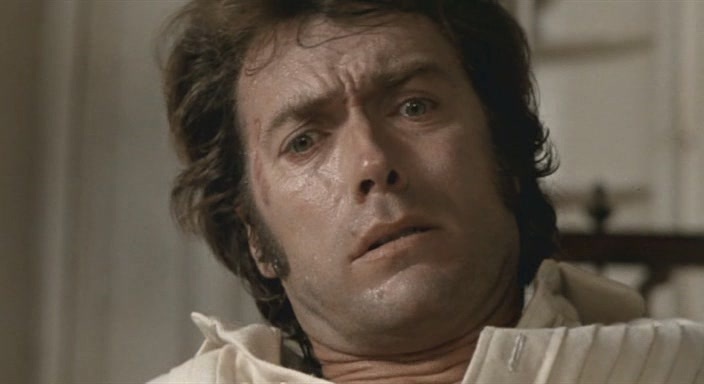 THE BEGUILED was the third of five collaborations between star Clint Eastwood and director Don Siegel. It’s definitely the most offbeat, a Gothic Western set during the Civil War. Clint plays John McBurney, a wounded, half-dead Yankee found in the woods by one of the girls from Miss Martha’s Seminary for Young Ladies. What unfolds from there is unlike anything the duo ever did before or after, a tale of sexual desire and vengeance that’s one of the most unusual entries in the Western canon.